A labor shortage plagues today’s construction industry. The Future Construction Leaders Foundation of San Diego is dedicated to providing opportunities for young men and women to investigate the many private and public construction career opportunities available. From kindergarten to college, we have hands-on, free programs that expose students to various trades and the corresponding seasoned professionals who can guide and coach them. 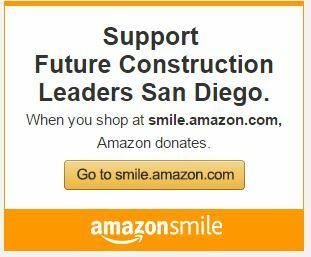 The Future Construction Leaders Foundation of San Diego is dedicated to the advancement of programs focused on educating youth about career opportunities in the construction industry and encouraging them to pursue careers in this field. To work for broader community outreach and partner relationships, leading to more young people engaging in expanded programming with the support of a growing number of committed volunteers and construction industry leaders. We also work to influence our educational systems, students, and parents to place more emphasis on, and resources toward, vocational education that connects directly to construction industry jobs. Tradespeople are in high demand! More than 200,000 construction jobs were added in 2017. The majority of firms are having difficulty filling positions for carpenters, plumbers, concrete workers, electricians and bricklayers. Founder and CEO of Paradigm Mechanical Corp.
President and Owner - Datalink Solutions, Inc.
President - Dowling Construction Inc.